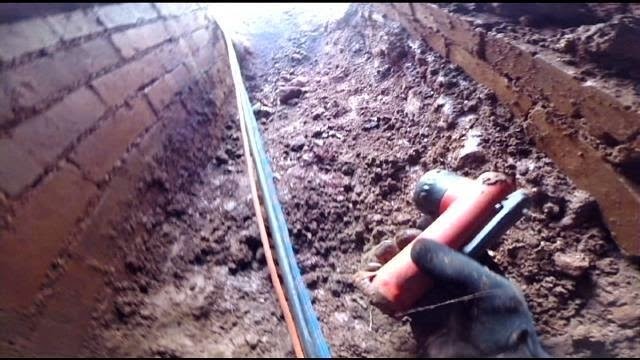 Historians and firefighters are working to preserve a siege tunnel that dates back to the Revolutionary War in the South Carolina town of Ninety Six. 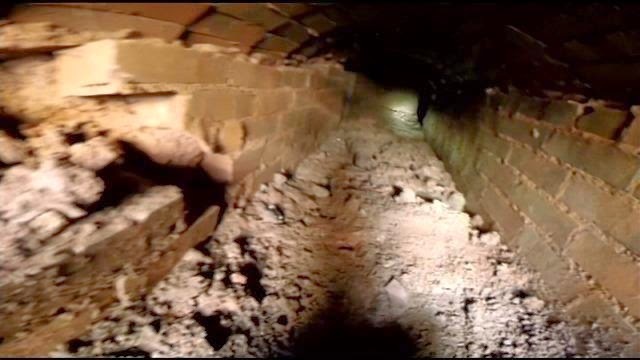 FOX Carolina was with crews Wednesday to take a look inside the tunnel located at the Ninety Six National Historic Site, which is the only one of its kind left in the county. In 1781 Patriots built the tunnel with the plan to burrow underneath the British-controlled Star Fort and plant explosives. 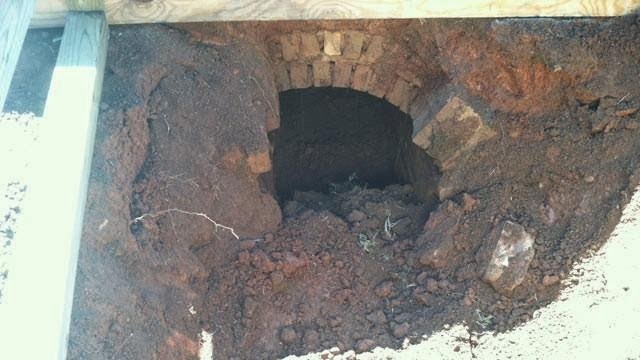 And now in 2014, Greenwood firefighter Russel Cline climbed through the tunnel with specialized breathing equipment and support from above ground to take a look at the tunnel dug more than 200 years ago. "The air down there is almost as good as the air up here," Cline said. His job was to clear the way for researchers from the University of South Florida, who plan to use modern mapping and photographic technology to create new 3D models of the tunnel. Dr. Lorie Collins is leading the team. "We can capture whole landscapes in hours, minutes as opposed to traditional archaeology that would be out here for weeks and months," Collins said. She said the data will be used to stabilize the tunnel and it will help visitors have a more interactive experience. Though the public can't go in, she said the tunnel will help bring the past to life for people, telling a big part of the battle and history of the site. The tunnel was not destroyed as planned because the British troops turned back the siege before explosives could be planted. John Slaughter with the National Park Service said the tunnel withstood the test of time and is a testament to the bravery of the men fighting during the war and said it is a must-see for anyone in the Upstate. And those wanting to take a closer look at the work being down at the historic site can visit for a special Archaeology Day on Saturday from 9 a.m. to 4 p.m. Click here for more info on the event and historic national site. The Ninety Six National Historic Site preserves the history of the Revolutionary War in the Upstate. Dating back to 1780, loyalists to the King of England began construction on the Star Fort. The fort was finished in early 1781. The fort's engineer Lt. Henry Haldane decided that an eight-point star fort would be better for the site than a tradition square fort. The fort's star shape allowed musket and cannon fire in all directions. Modern-day visitors can take a look at the fort as it stood more than 230 years ago, as the fort's walls are a little weatherworn, but they are original. No major reconstruction has been done since its construction and the Battle of Star Fort in June 1781, during the Siege of Ninety Six. The siege began on May 22 as patriots arrived, hoping to seize the loyalist-held Star Fort, the town of Ninety Six and the Stockade Fort. Initially, the patriots tried to take the Star Fort first by digging approach trenches. But as the exhaustion and work it took to build them in an effort to take the fort wore on, they took on a second tactic by building a Maham Tower on June 13. From atop the 30-foot tower, patriot sharpshooters shot down at the loyalist, who tried but could not burn the tower down in defense. The third patriot tactic was the construction of a mine that traveled underneath the fort so they could blow it up with explosives. The shaft was not completed and is the tunnel that still stands today that researchers are working to map with new technology. The Patriots stormed the fort on June 18 in the Battle of Star Fort, battling 60 loyalists in hand-to-hand combat, but the assault was called off after 45 minutes of fighting. The siege was ultimately called off and the Patriots retreated as more Loyalists approached from Charleston.